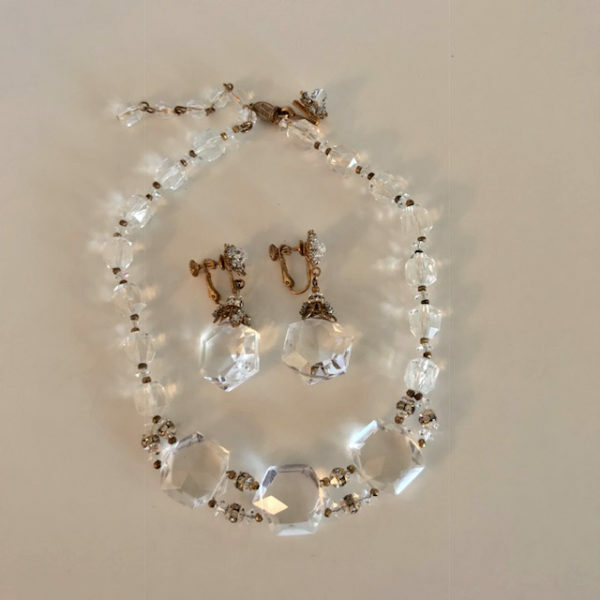 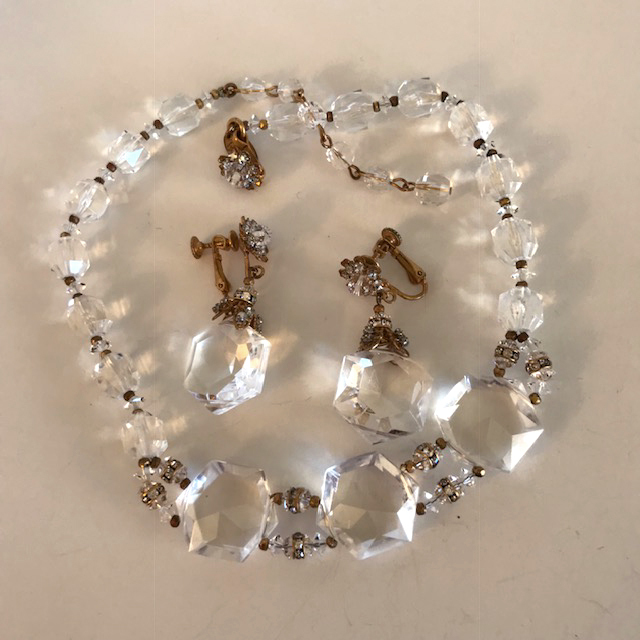 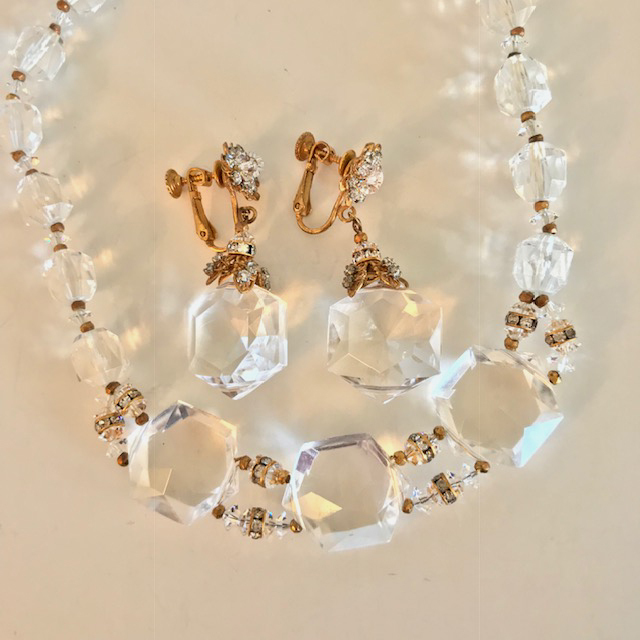 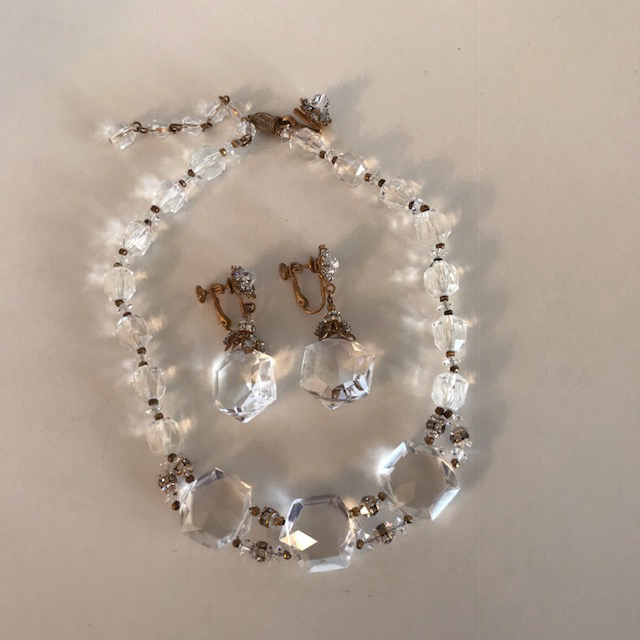 MIRIAM HASKELL sparkling necklace and pendant earrings fashioned of faceted Lucite disks and beads with clear rhinestone roundelles and rose montees along with tiny faceted saucer shaped beads as spacers. The necklace is 14" to 16" by 7/8", so it can be worn as a choker, too, and the pendant clip back earrings 1-3/4" long. 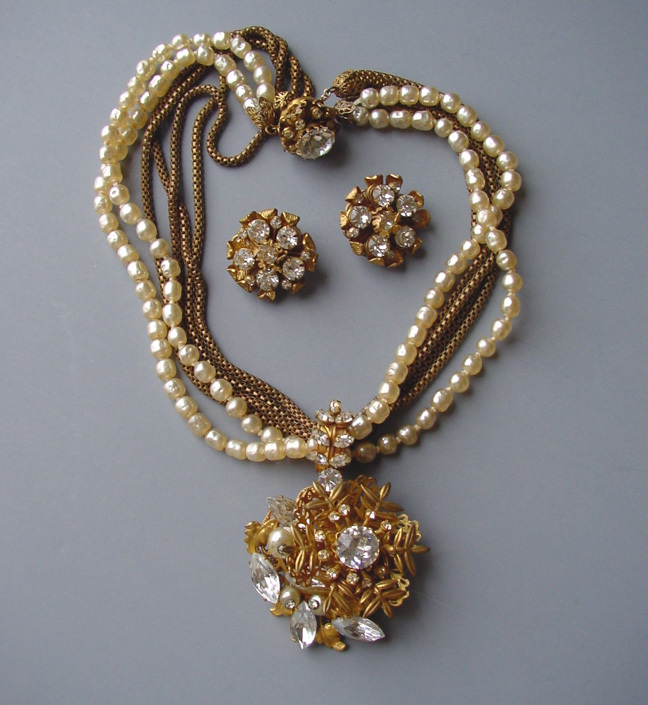 All the findings are all a bright gold tone, even though the lighting makes them look dull in two of the photos. 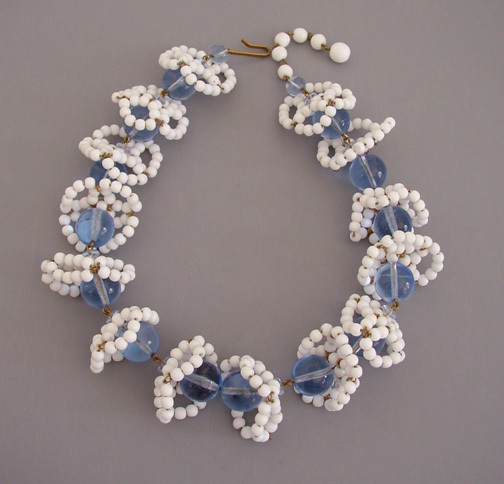 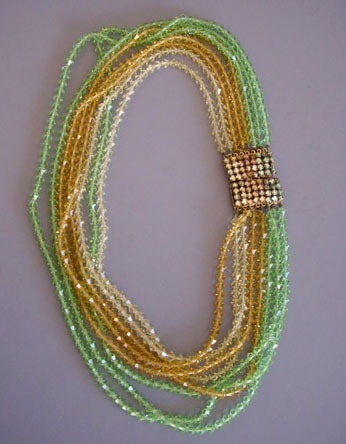 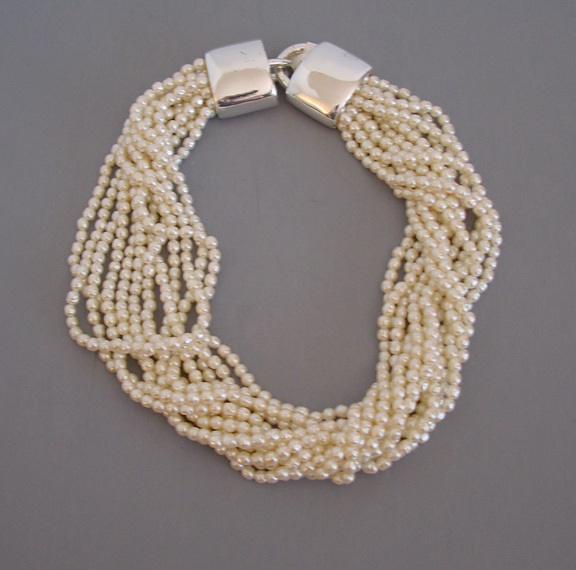 This fits close around the neck and it has the look of crystals but not the weight, making it easy and fun to wear.